This is a tricky one to answer, because I can't remember ever not reading! My mum was definitely a big influence in my being such a bookworm - she loves to read too and I grew up surrounded by her books, and seeing her enjoying books and reading. I will give just about any genre a try, but I think fantasy is my favourite. I don't read very much non-fiction, true(ish) crime, or horror (although I love a creepy story like Shirley Jackson). I was a little bit put off by romance but have started reading some and am really enjoying it! If you had to choose bringing a mediocre series or one great standalone to a desert island, which would you choose? I'm a bit ashamed to admit I'd rather have the mediocre series! I think I'd lose interest in the one standalone book after a couple of re-reads! I try to keep things a bit organised, but to be honest it mostly just depends where there is space! I have most of my #loveozya books together, and a shelf for my kids' series that are a bit special, but apart from that its basically chaos - including random stacks around the house! I'm very excitable so it's hard to chose one! Everything on my TBR is something I want to read! Yes! I LOVE book signings! We don't get loads of them here in Canberra, so when they are on I try to get to as many as I possible can! 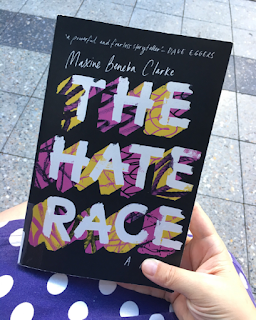 My favourite was probably the YA day that I went to at the Sydney Writer's Festival last year - so many amazing, inspiring authors and discussions! We have our fingers crossed that it will be on again this year! Hardcovers, paperbacks, ebooks or audiobooks? My favourite is probably paperback - I just love how they feel and look! But I do also love my kindle for ebooks - i just don't have enough space for all the books I want so it has been a life changer! What’s your favourite book to recommend which isn’t a common recommendation for new readers? I have to admit to being a bit of a recommender! My favourite book to try and push everyone into reading lately is Maxine Beneba Clarke's The Hate Race (my favourite book in 2017). 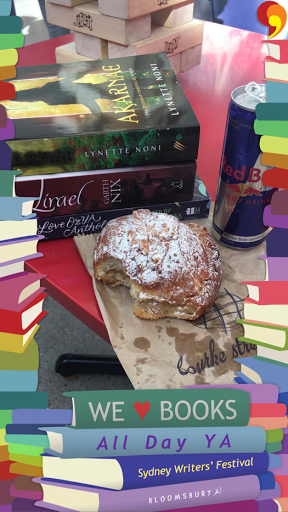 What does your ideal reading day look like? I'm not a DNFer, so it would have to be something really terribly problematic in the writing/story. Ooooh, there are loads! 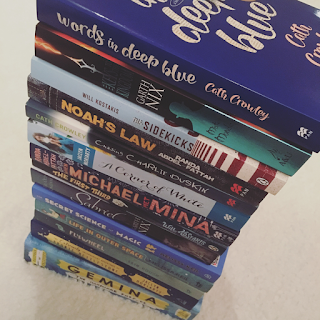 I'm going to cheat on this one by referring to a post I wrote about some of the #loveozya books I'm most excited to get my hands on this year. Do you enjoy readathons? Which ones do you participate in? I would love to do more readathons, but I have a 4 year old so I'm a bit limited in terms of how long I can sit and read (for now at least!). I do love to participate in the Cosy Reading Night readathons hosted by Lauren from Lauren and the Books about 4 times a year, and really love that. For the most part I'm more of a reading challenge person at the moment. What is one part of your bookish life that you enjoy that isn’t reading? There are lots of things, but probably my favourite is talking to people about books - whether it's chatting with my bookish friends and book club buddies, the book sellers at my local book shop, or a stranger reading on the bus. So, that's me and some of my bookish feelings, favourites, and opinions. Like I sad, everyone is welcome to join in, and you should definitely pop over to The Bookish Cronk to check out the other bookish bloggers introducing themselves this weekend. I love reading your answers. I saw Words in Deep Blue from your photo and remember reading it on my Bris - Melb trip and I was just in tears for most of it, but it was such a great book. I'm so glad someone started this tag- it was great reading through your answers. You made me feel like I need to take advantage of being in a big city like Chicago and go to more book signings! We have so many. Thank you! Book signings are definitely worth getting to - they are my favourite!